Munster cheese (French pronunciation: ​[mœ̃stɛʁ]), Munster-géromé, or (Alsatian) Menschterkaas, is a soft cheese from Vosges. It is produced in the village with the same name. It is made from the milk of cows. 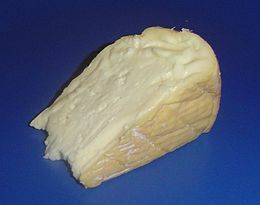 Wikimedia Commons has media related to Munster cheese. This page was last changed on 22 November 2017, at 16:47.